Bulls found resistance at 1.2995, which pushed the price a little bit lower. 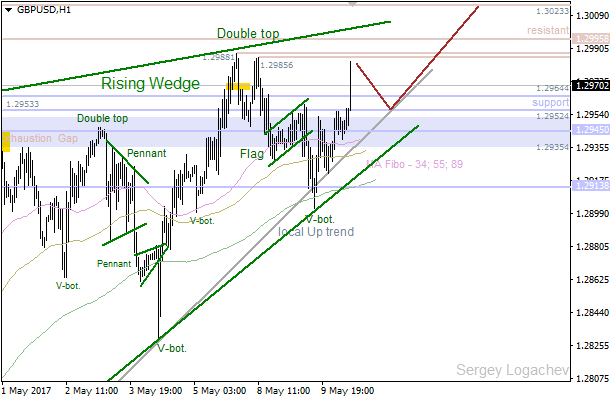 Also, we've got a "Rising Wedge", so the pair is likely going to test the nearest resistance at 1.3023. If a pullback from this level happens, there'll be an opportunity to have a decline towards support at 1.2945 - 1.2913. There's a "V-Bottom" pattern, which has been formed on the 89 Moving Average. 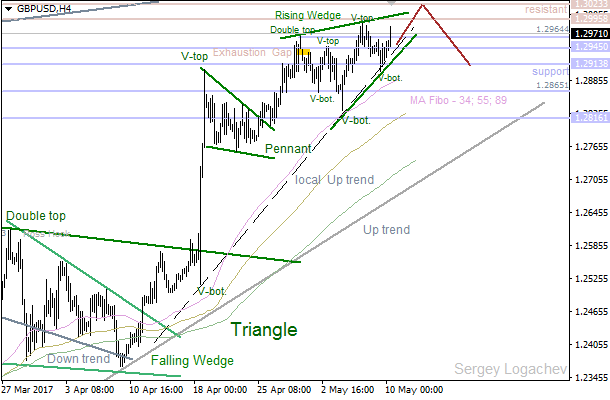 At the same time, there's strong resistance by the last "Double Top", so the price is likely going to test the nearest support at 1.2964 - 1.2953. If a pullback from these levels happens, there'll be an option to have an upward price movement towards the closest resistance at 1.2995 - 1.3023.